eWebIndia is leading web hosting solution provider of India. Basically eWebIndia.com is economical hosting division of OBizTek Group which has been providing Internet Solutions since 2000 to its customers in India and overseas. All of them at eWebIndia are a lot like you, making it easier for us to understand and deliver exactly what it is that your hosting need with their internet expertise since last 12 years.eWebIndia offers cheap Linux & Windows hosting services. They offer Shared, Reseller, VPS, and Dedicated server hosting plans for everyone in India - from beginners to professionals. 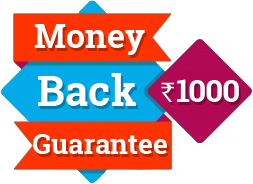 1) Linux Hosting Plan starts from Rs 400/year to Rs 3000/year. 2) Windows Hosting Plan starts from Rs 500/year to 4000/year. eWebIndia offers a cheap & reliable Linux Hosting services in India & across the world. Their Linux Hosting Solutions give you full management using cPanel Hosting Control Panel for Linux hosting. Linux hosting is good for hosting website which uses php / mysql & phpmyadmin / perl / cpanel / blogs & CMS. They have many cheap / economical / affordable Linux hosting India plans to suit almost every web hosting needs in India. And it also offers economical & cheap Windows Hosting services in India & across the world. Their Windows Hosting India solutions comes with own hosting control panel to give you full control Panel for Windows hosting. Windows web hosting is ideal for hosting website which uses Microsoft technologies like asp, asp.net, ms access & MS SQL 2005 / 2008 / 2012 database, front page hosting etc.They have many cheap and affordable Windows hosting plans in India to suit almost every Windows web hosting needs. They have experienced and knowledgeable team to help you round the clock. Their 24x7 prompt support will never let you down on their servers. They are contactable through phone and email. Self Service Web Hosting here you do it all yourself! You buy the servers from your provider, you install the software and configure the software, and you have to make sure there are sufficient cooling and power in your machine room, and double up everything for access. One of the worst services provided by eWebIndia. They are not fit for web hosting services. From the beginning, I have faced many issues with their services. One of the big problem with their services is that their security and poor customer support. I have been using this hosting provider since 2016, initially, i did not face any issues. But now I'm having an issue with my website and I'm getting a lot of adds in between. I even called their customer care but of no use. Please don't go for this web hosting provider. 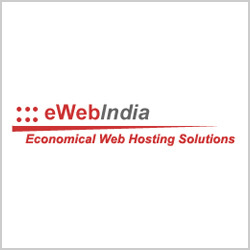 eWebIndia are not recommend for web hosting. Their customers are always not satisfied with their services. They need to improve a lot in web hosting services. Their support team should know to handle the customers.